This week on the Sigma Affiliate Blog we are going to spotlight a country that is full of beauty: Brazil! Not only does Brazil have the second largest number of Sigma affiliates (after the USA), it is emerging as a hot spot for international beauty and fashion. 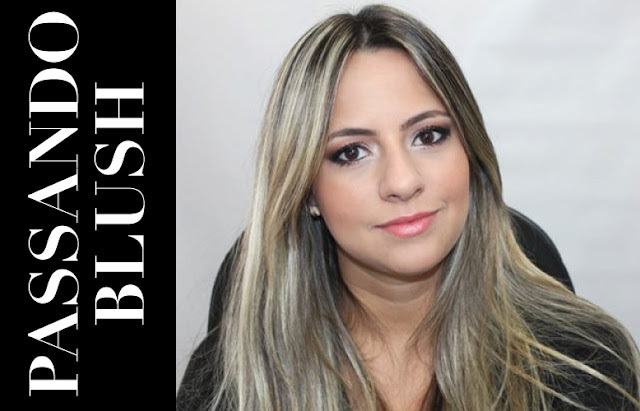 Today we’re going to explore beauty in Brazil and introduce you to five Brazilian affiliates! Brazil currently has the third largest beauty market in the world and is set to overtake Japan as the second biggest market by the end of the year. Rio de Janeiro, home to over 6.3 million people, is quickly becoming a global fashion center. With the presence of Brazil Fashion Week, along with the large number of gorgeous Brazilian fashion models (Gisele Bündchen, Adriana Lima, Mariana Braga, Flavia de Oliveria and Raquel Isabeli Fontana to name a few), it’s no surprise that Brazil is leading the way in fashion and beauty. We now want to introduce you to five beautiful Brazilian affiliates! We asked each of them a question regarding beauty and their country. Sigma: How would you describe your signature beauty style? Como você descreveria o seu estilo de beleza? Sigma: How is beauty unique in Brazil? O que characteriza a beleza brasileira? Nina: A beleza no Brasil é única pela mistura de etnias e culturas, fazendo assim com as pessoas tenham belezas diferentes, únicas! Beauty in Brazil is a mixture of ethnicities and cultures, thus making people have different and unique beauty! Sigma: How do you define beauty? Como você define beleza? Vivian: Ter confiança em si mesmo, se amar e ter um coração bom. A beleza vem de dentro! Confidence in yourself. You have to love yourself and have a warm heart. Beauty comes from the inside! Sigma: How does the Brazilian culture influence your beauty routine? Como a cultura brasileira influencia a sua rotina de beleza? Priscila: Bem, respondendo à sua pergunta, eu acho que o Brasil é um país tão colorido, brilhante e alegre, os brasileiros têm uma energia muito boa que é contagiosa e nos inspira a nos produzir e colorir nosso rosto. Podemos notar o Carnaval, que é característico daqui, com muitas texturas, cores e misturas que apresenta um resultado divertido para nós. I think Brazil is a country so colorful, bright and cheerful. The Brazilians have a very good energy that is contagious and inspires us to use our creativity in makeup application. Carnival, which is celebrated here, incorporates many textures, colors and blends that result in fun looks for us. 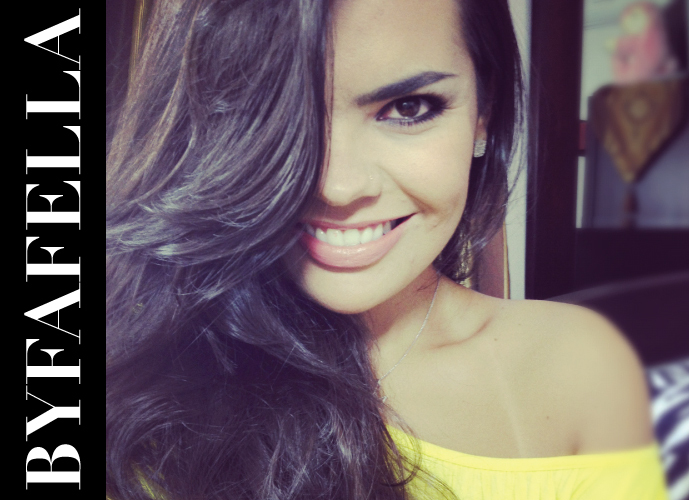 Sigma: Why do you think beauty blogging is so popular in Brazil? Por que você acha que blogs de beleza são tão populares no Brasil? Fafella: Eu acho que com o aumento do acesso às redes sociais e internet em geral, as informações sobre moda e maquiagem foram se expandindo. Ouvir/ler opiniões de garotas "normais" sobre algum produto de beleza é mais interessante do que apenas assistir um comercial na televisão. Acho que os blogs de beleza trazem a publicidade pra mais perto das pessoas. Algo mais informal, que contém uma opinião pessoal e possibilita aos leitores a interagirem sobre aquele assunto com a blogueira. Trocar idéias é uma forma de aprender e os blogs trazem essa possibilidade, tanto de blogueira para leitora como de leitora para leitora também. I think with the increased access to social networks and the internet in general, information about fashion and makeup is expanding. Listening/reading reviews from “normal” girls about a beauty product is more interesting than just watching a commercial on television. I think the beauty blogs bring people closer. Something more informal, containing a personal opinion allows readers to interact on that subject with the blogger. Exchanging ideas is a way to learn, and blogs bring this possibility, both with blogger to reader and reader to reader as well. Cada uma com o seu jeitinho. Brasil, lindas as meninas parabens!! Lindas, todas ! Mas minha queridinha mesmo é a Vivian ! Parabéns às meninas ! Parabéns ao Brasil que é uma País abençoado por Deus, e bonito por natureza ! Parabéns!!! São lindas e gosto muito de aprender mais e mais com elas. \o/ Fanzoca de todas!! !Kisses from Brazil!!!! !